Laureus is a global sports-based charity that works to improve the lives of young people. At the inaugural Laureus World Sports Awards in 2000, Nelson Mandela, who was the first patron of Laureus, said "Sport has the power to change the world. It has the power to unite people in a way that little else does. Sport can awaken hope where there was previously only despair." This has become the philosophy of Laureus and the driving force behind its work. The Gumball 3000 Foundation supports Laureus projects such as the Street Soccer Programme KICKFORMORE, the Girls Soccer Programme Girls Kicking and the (Wheelchair) basketball programme Koörbe für Köln. Combining the Laureus Sport for Good Foundation, the Laureus World Sports Academy and Ambassadors Programme and the Laureus World Sports Awards, Laureus forms a unique organisation that uses the inspirational power of sport as a force for good. Since its inception, Laureus Sport for Goos has raised over €100 million and supported over 150 projects worldwide which use sport to tackle violence, discrimination and disadvantage. Laureus Sport for Good has helped to improve the lives of millions of young people in over 35 countries and its proving that sport can change the world. The Gumball 3000 Foundation is proud to support the Tony Hawk Foundation's efforts to create high quality, public skate parks in low-income communities around the world. Skate parks not only encourage youths to be active and healthy, but are spaces where they meet other creative, like-minded individuals, form communities and together build self confidence and an awareness for the sometimes misunderstood sport. The process of creating a skate park, as advocated by the Foundation, involves the youth in planning, fundraising and helping the design the facility that will literally become their second home. In ever community where the Tony Hawk Foundation has helped open a skate park, its used all day, every day, and is without exception the most popular recreational facility in town. 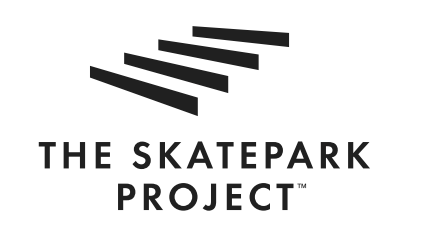 Since 2002, over 556 skate park projects in the US have received funding from the Tony Hawk Foundation, where over 4.8 million visitors annually enjoy the skate parks that the Foundation helped to fund. The Tony Hawk Foundation empowers youth and their communities, helping them to create a stronger future through engagement with local leaders to build a space where they can learn important life lessons that skateboarding teaches. Sir Simon Milton was for ten years one of London's most successful politicians, who believed passionately that it was the responsibility of every individual to extend opportunity to all, whether young or old. The Sir Simon Milton Foundation was created following his premature death in 2011, with the aim to continue his vision of a city in which the young can aspire and the older thrive. The flagship project of the Sir Simon Milton Foundation is a new college for 14-18 year olds, which will educate and train young Londoner's from all backgrounds for careers in engineering and construction industries. Based in central London and opening in September 2017, it will be the only educational facility of its kind in the city. Their aim is to inspire and develop a new generation of engineers, technicians and business leaders with the skills, confidence and knowledge they need to be a success in life. The college will offer a unique opportunity to develop key skills with the latest technology and engineering equipment. The students will be presented with business challenges by leading employers supporting the college such as Network Rai, Land Securities, Crossrail,Sir Robert McAlpine, Transport for London and BT Fleet. The University of Westminster is involved in the curriculum development, will run summer schools for new students and provide mentors to learners. The Gumball 3000 Foundation and its supports are uniquely placed to help this school establish itself and support students who wish to pursue a career in the automotive industry. In 2014 the Gumball 3000 Foundation pledged £100,000 to When You Wish Upon A Star which enabled 100 children to swap their hospital beds for sleigh rides as they flew on a specially chartered aircraft to Lapland where they spent the weekend visiting Father Christmas. Accompanied by Maximillion Cooper and his wife Eve, the children and their families spent their time enjoying the snow, telling Father Christmas their wishes for the festive season and spending time away from the confines of the hospital. Upon meeting Father Christmas they were photographed and at the end of the trip given a DVD documenting the trip as a reminder of their magical day. The Gumball 3000 Foundation is proud to work with When You Wish Upon A Star. On the 2016 "Dublin to Bucharest" Rally all Gumballer's and their cars wore gold ribbons when leaving Edinburgh in support of 16 year old Shannon Hughes who sadly passed away. Shannon was a big Gumball fan and attended the 2014 rally with her family.